As we now are in a new amazing and exciting New Year, regardless of what your circumstances are. This year we will focus on creating Extraordinary Joy. A guidance to Authenticity, Connection, and Self-Transformation. The difference between ordinary Joy and extraordinary Joy is also one of participation. Moments of pleasure or happiness often come unexpectedly; they are things that “happen to us”. Extraordinary Joy is an Intention and a way of life. You learn to focus on Joy as an ongoing presence, and you learn ways to access that presence anytime you want. 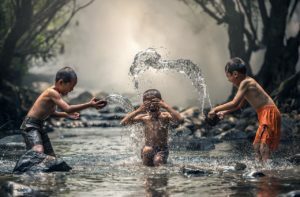 For example, if ordinary Joy falls like an occasional rain shower on our heads, extraordinary Joy is a stream rushing past us; anytime we are conscious of it, we can dip our hands into it, splash it on our faces, and revel in its freshness. Extraordinary joy is always new and clean, fast-moving but never ending. All you have to do is remember that it’s there!!! It is not surprise that we think of true happiness, extraordinary Joy, as something that is outside our control. We have nothing to measure it by. Actually that is not right. Joy is a stream flowing through the Universe. It lies just on the other side of your consciousness. Therefore, you don’t have to spend your life in the ashram or church to know Joy. You can simply learn new skills and practice them in the course of your everyday life. As in any learning experience, as you increase your skills, your awareness begins to change. It is the most natural thing in the world to become more sensitive to the things that interest you. Soon you start to see the stream of Joy, to hear it splashing by. You begin to trust that it is always there, and it becomes part of your life. Then you have the potential to live a meaningful and joyous existence. You have the right to expect to achieve your purposes and do it happily, without difficulty. The intention is to bring extraordinary Joy into your life even when challenges appear in your life; you choose to change your attention to what you want; rather than to focus on the problem.